Pittsburgh Chiropractic & Wellness has been delivering quality chiropractic care to the Pittsburgh and McMurray area since 2007. Our team of offices has been serving the tri-state area since 1960. When your spinal vertebrae are out of alignment or are not moving properly stress is placed on the nervous system. Spinal stress affects the way the brain communicates with the body, thereby affecting overall health. The nerves exiting from the spinal vertebrae not only affect your back and neck but they are connected inversely to the health and effectiveness of your organs. Spinal stress can be experienced as stiffness, pain, loss of function or many other symptoms. Chiropractic adjustments help to keep the vertebrae from interfering with the nerves. Adjustments reduce spinal stress thereby addressing the root cause of the problem. Chiropractic offers natural relief of chronic neck and back pain, leg pain, headaches, and disc disorders. 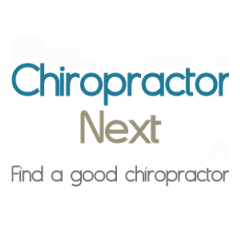 Chiropractors help newborns, infants, teenagers, adults, and seniors. Health-conscious Pittsburgh families choose Pittsburgh Chiropractic & Wellness! Dr. Carr is an experienced Doctor of Chiropractic and continues to keep up-to-date on the changes and advancements in the chiropractic field. He holds a doctorate from Palmer West College of Chiropractic (San Jose, CA) and a BS in Exercise Physiology from the University of South Carolina (Columbia, SC). Dr. Carr not only concentrates on the spine, making sure that the vertebrae are aligned properly, but he also specializes in the treatment of sports related injuries, physiotherapy, rehabilitation, nutrition, weight loss, supplements and orthotics in adults and children.